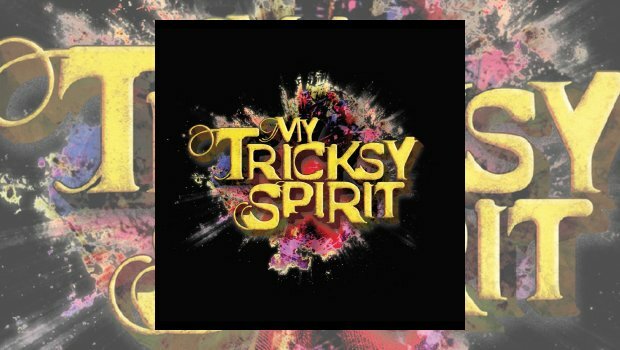 My Tricksy Spirit is a project started by songwriter Nick Gray at London University’s School Of African and Oriental Studies (SOAS), ably assisted by kindred spirits and fellow alumni. If Alan Freeman was still with us, and he had suddenly developed a taste for the “out there”, he probably would have followed a spinning of any track you like from the band’s personal manifesto My Tricksy Spirit as “Gamelantastic!” Supranormal imaginings aside, this fine album reveals the collective tricksy spirit on show as playful, imaginative, caring and contemplative in equal measure. My Tricksy Sprit conjures a steamy multi-cultural urban gestalt formed of near seamless parts into a blissful and uplifting whole, crafted into sonorous sonic washes by producer Rob Shipster. The group is based around Nick Gray’s Balinese gendér wayang, a kind of cross between wooden vibes and a xylophone, and an instrument used in traditional Balinese puppet shows and associated rituals, as well as being the name given to the smallest ensemble of instruments in the gamelan tradition. The unusual instrumentation is used to craft melodies in exotic non-European scales, put through trip hop and acid jazz stylings, and much electronic manipulation, all underpinned by the most massive dub bass this side of Jah Wobble’s superbly barking Take Me To God album. In fact there is certainly a similarity in outlook between those two albums, coincidental or not. My Tricksy Spirit now revolve around a core of Nick Gray, who crafts the basic songs around his gendér wayang patterns, multi-instrumentalist Charlie Cawood who adds the icing on the cake, and producer Rob Shipster who puts it all through a psychedelic electronic blender. They were recently joined by Roxanne Aisthorpe as a permanent member, who is described as “a singer and a lawyer”, probably not concurrently, I’d imagine! …a very short but tantalising glimpse …check out the Bandcamp streaming for the full-on experience! After the introductory pop buzz of the euphoric Always With You, showcasing the talents of the whole band, not least the interlocking patterns of the gendér wayang (which you can read more about in the interview with Charlie Cawood which accompanies this review), and a great soulful vocal from Roxanne, the rest of the album is bookended by the swirling dub of Free Of Stars/Dub Of Stars. This features the dexterous Joe Chapman at the controls, who was an original member of the band. He moves sliders through drifting clouds of smoke, maybe or maybe not of the metaphorical variety. Among many fine examples of Charlie’s dubwise tripping the heavy fantastic is the amorphous and ever shifting Time To Go, that when played at the desired volume will make your ornaments dance with shamanic abandon. “Amorphous” is a good, woody word, and half of Amorphous Androgynous, another reference point I can see in my mind’s eye. This is no bad thing indeed, and it is Circle Of Light that points me that way. That track and the whole album is a deeply psychedelic experience. My Tricksy Spirit is a record for the sultry summer evening, star gazing or soul gazing, glass of Pimms in hand. Invite the neighbours round, otherwise they’ll be complaining about the thunderous lower frequencies. Plans are afoot to take this sonic experience on the road. I’m definitely looking forward to that!